In a recent poll by Spanish media outlet Marca, 87% of Real Madrid fans voted Gareth Bale as the player they wanted sold this summer. Speculation is increasing that he will depart Madrid this summer. Bale has never endeared himself to the Los Blancos faithful. He has never really connected and after 6-years in Spain is still reportedly unable to speak Spanish. it is no surprise that he topped the vote. If Bale does leave Madrid this summer, there will be a host of clubs sniffing around. The likes of PSG and Manchester United have been long term admirers. But should Arsenal throw their hat into the ring? Here we evaluate whether Arsenal should make form Tottenham player Gareth Bale their number one target this summer. There is no doubting that Gareth Bale is a World Class talent. He is the type of player that wins games on his own. He became the first substitute to score twice in a Champions League final and was named man of the match as he drove the side to victory in 2017/18 and recently scored his 100th goal for Real Madrid. Arsenal lack wingers, and he would solve our problem on the right hand side. He is very much the modern winger. He has pace to burn, stamina and able to score from distance. He is good in the air and delivers a good ball into the box. During his early days at Tottenham, he was on all set pieces – goal kicks, free kicks; both direct and indirect. He would walk into Arsenal’s team. Bale would be a huge talisman in the side, and potentially replace Mesut Ozil as Arsenal’s chief creator, main game winner. There are however some big concerns over Bale, however. He turns 30-years-old at the end of this season and you have to wonder if he has peaked. Recent seasons he has been hampered by injury – and he has only ever played over 30 league games for Real Madrid once in 6 seasons. Having scored 47 goals in 81 league games during his first 3 seasons in Spain, the last 3 seasons have seen him score just 30 goals in 66 games. Were Arsenal to sign the Welshman, they would be writing off his transfer fee. At 30-years-old, there would be little to no sell on value. He would likely get a 4-year deal, which would put him at 34 by the time it is up. Would it really make sense to tie up £60m+ in transfer fee’s on a player whose star is fading? Players coming towards the end of their peak are often the worst to buy. It is at that stage they usually still command a huge wage and transfer fee; but you might only get a couple of good years out of them before they completely fall off a cliff. Think Robin van Persie joining Manchester United and having one good season. Bale reportedly earns close to £500,000 a week at Madrid. This hugely dwarfs what Mesut Ozil is on at Arsenal. Were Arsenal to become interested, he would likely have to half his wage demands. Even then, tying up £250,000 a week for 4-years on Bale would be a huge risk. Based on the figures proposed here, a deal would cost Arsenal more than £110m (transfer fee + wages). Spread over 4 years, he would cost around £30million a year. Bale would take up 8% of our total turnover (£388m in 2017/18). Ozil has been under heavy criticism this season for underperforming and missing too many games. Bale has had a similar season for Madrid. Ozil takes up just 4.6% of the clubs turnover. Bale would be just under double that. A huge sum to tie up into an injury player who may well be deteriorating quickly. A deal for Bale would surely only happen if Ozil is on his way out? Everything taken into consideration, if Arsenal did decide to tie up £30million a year in a single player, I think there are better options than Bale. That sort of investment could secure the club someone like Ousmane Dembélé from Barcelona, who at 21-years-old would make a much more sensible investment. Or Arsenal could spend a lot less and get the likes of Leon Bailey, Ivan Perisic, Lorenzo Insigne, Yannick Carrasco, Kingsley Coman, Florian Thauvin and leave us enough change to also sign Kai Havertz. At the minute Bale is perhaps a bigger name and salary then his current ability. We should leave him to the likes of Manchester United and PSG who would happily invest over £100m in him just to get 2 good years. 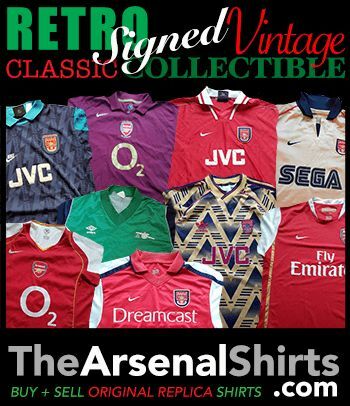 This entry was posted in Arsenal on April 13, 2019 by keenosafc.